Secret Garden is a site specific sound project which changes the experience of the park in a subtle manner. Visitors with a smart phone (android or ios) can listen with headphones to the piece which changes depending on their location and movement. 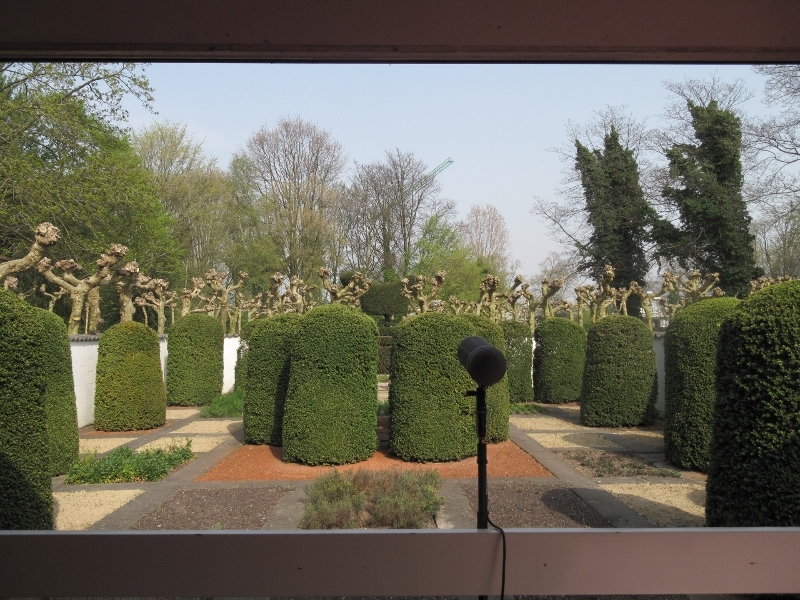 The sounds, all recorded in the Amstelpark are of usually inaudible processes and vibrations: sounds from the inside of trees, vibrations of tropical plants in the wind, ultrasonic sounds of insects and birds, low vibrations in the roots of trees, resonances of conduits, plants, pots and glass. The piece uses the “miniatures for mobiles” app written by Udo Noll. Justin Bennett produces field recordings, drawings, installations, photos, videos and essays to map the daily sounds of our urban environment. After the exhibition the work will continue to be available and over time will be developed with new recorded materials. A map of the project can be collected at The Glazen Huis. Zone2Source is an international platform which invites artists to develop projects inside and outside of the glass pavilions of the Amstelpark, in which alternative practices and experiences of our ‘natural’ environment are being proposed. Zone2Source is concerned with a return to the source to observe and experience anew in order to explore new relations between humans, nature and technology. In exhibitions, workshops, presentations and discussions alternative imaginations are being offered to reorient ourselves with what a 21st century way of dealing with our world could be.